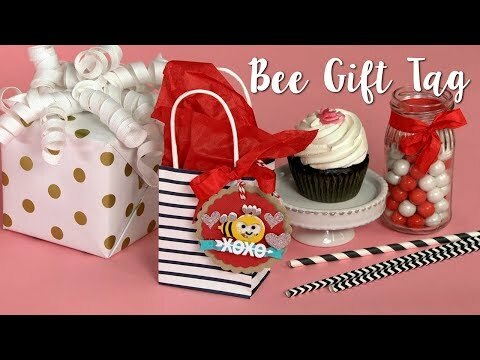 How to Make a Bee Gift Tag! 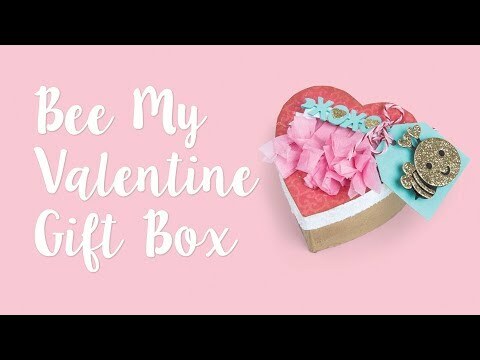 How to Make a Bee My Valentine Gift Box! 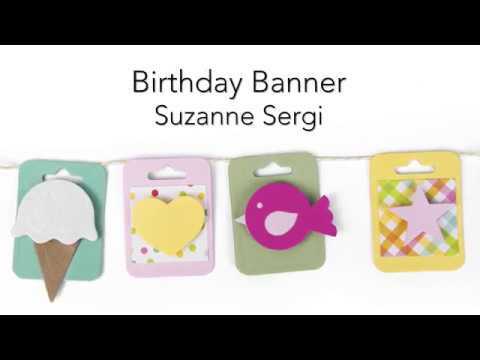 https://www.sizzix.com/catalog?cat=1371 No birthday is ordinary, so make it extraordinary with Sizzix®! Every delightful detail enhances this fantastic format for delivering whimsy and wonder to any celebration. They’re a must-see in 3-D! With more fun cardmaking designs, Lori Whitlock has created collapsible 3-D cards that stand up for easy display fit easily into an A2 envelope. They’re perfect for many occasions—everything from birthdays to holidays and many things in between. Tune in to see how Lori Whitlock’s die makes up this adorable card in minutes! About Designer: Over the past 10 years, Lori has designed for many prominent companies in the crafting industry. She currently licenses paper designs and fabric, as well as digital cutting files and scrapbooking files. 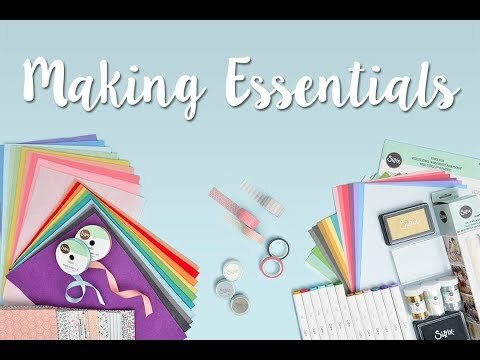 Sizzix proudly welcomes Lori as a licensed designer for its new assortment of designs to enhance cardmaking, scrapbooking, home décor and other handmade crafts. With many practical and dimensional base dies, the collection offers unlimited embellishing possibilities with paper, fabric or other material. About Sizzix: In 1977, Ellison, the parent company of Sizzix, invented the first consumer hand-operated die-cutting machine to cut a wide variety of materials. Since then, we've led the DIY movement with imaginative solutions for every creative lifestyle. As one of the DIY market's most requested brands, we continue to develop award-winning products with unsurpassed quality to empower expression in all. From scrapbooking, cardmaking and papercrafting to fashion, quilting and home décor, and Education, we provide people of all ages and abilities the opportunity to express themselves in countless new ways. https://www.sizzix.com/662350/sizzix-thinlits-die-set-10pk-card-gift Give your cards the “X-factor” with this X-Card collection from Lori Whitlock and Sizzix! The “X” shape of these cards make them self-standing, which means that they can make perfect home or office décor. Use a gift, bow, or balloon design to add to the middle of this 3D dangling card. Send holiday or birthday wishes by checking your local craft store in December for this collection! About the Designer: Over the past 10 years, Lori has designed for many prominent companies in the crafting industry. She currently licenses paper designs and fabric, as well as digital cutting files and scrapbooking files. 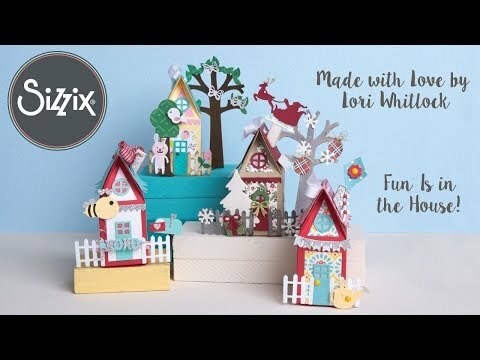 Sizzix proudly welcomes Lori as a licensed designer for its new assortment of designs to enhance cardmaking, scrapbooking, home décor and other handmade crafts. With many practical and dimensional base dies, the collection offers unlimited embellishing possibilities with paper, fabric or other material. About Sizzix: In 1977, Ellison, the parent company of Sizzix, invented the first consumer hand-operated die-cutting machine to cut a wide variety of materials. Since then, we've led the DIY movement with imaginative solutions for every creative lifestyle. As one of the DIY market's most requested brands, we continue to develop award-winning products with unsurpassed quality to empower expression in all. From scrapbooking, cardmaking and papercrafting to fashion, quilting and home décor, and Education, we provide people of all ages and abilities the opportunity to express themselves in countless new ways. https://www.sizzix.com/catalog?cat=1371 This isn't your typical holiday card! Tune in to see how easy it is to make a stand up 3-D card that is sure to impress! For a flurry of creativity, this card covers it all! With the X-Cards Collection, you can showcase many styles, shapes and sentiments to elegantly accentuate any occasion. They’re a must-see in 3-D! 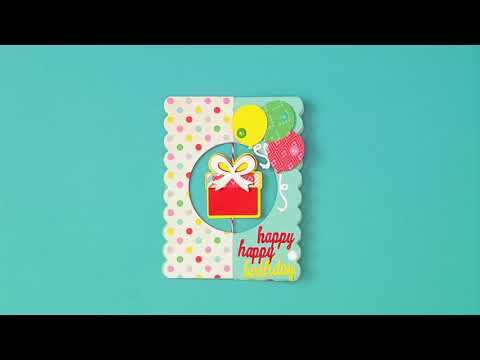 With more fun cardmaking designs, Lori Whitlock has created collapsible 3-D cards that stand up for easy display fit easily into an A2 envelope. They’re perfect for many occasions—everything from birthdays to holidays and many things in between. Tune in to see how Lori Whitlock’s die makes up this adorable card in minutes! About Designer: Over the past 10 years, Lori has designed for many prominent companies in the crafting industry. She currently licenses paper designs and fabric, as well as digital cutting files and scrapbooking files. Sizzix proudly welcomes Lori as a licensed designer for its new assortment of designs to enhance cardmaking, scrapbooking, home décor and other handmade crafts. With many practical and dimensional base dies, the collection offers unlimited embellishing possibilities with paper, fabric or other material. About Sizzix: In 1977, Ellison, the parent company of Sizzix, invented the first consumer hand-operated die-cutting machine to cut a wide variety of materials. Since then, we've led the DIY movement with imaginative solutions for every creative lifestyle. As one of the DIY market's most requested brands, we continue to develop award-winning products with unsurpassed quality to empower expression in all. From scrapbooking, cardmaking and papercrafting to fashion, quilting and home décor, and Education, we provide people of all ages and abilities the opportunity to express themselves in countless new ways. 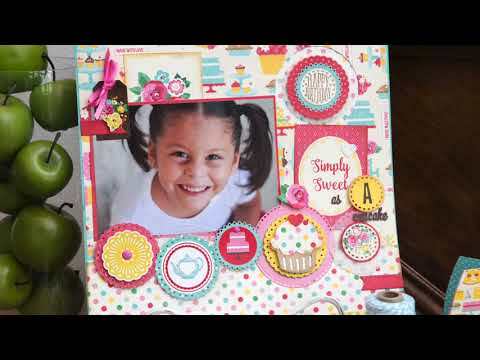 https://www.sizzix.com/catalog?cat=1371 Give your cards that "X-factor" with Lori Whitlock's X-Card collection! Turn any ordinary card into a collapsible 3-D card that not only stand up for easy display, but also fits easily into an A2 envelope. Perfect for everything from birthdays to holidays and many things in between, you will love just how versatile and simple these special Thinlit Die Sets are. About Lori: Over the past 10 years, Lori has designed for many prominent companies in the crafting industry. She currently licenses paper designs and fabric, as well as digital cutting files and scrapbooking files. Sizzix proudly welcomes Lori as a licensed designer for its new assortment of designs to enhance cardmaking, scrapbooking, home décor and other handmade crafts. With many practical and dimensional base dies, the collection offers unlimited embellishing possibilities with paper, fabric or other material. About Sizzix: In 1977, Ellison, the parent company of Sizzix, invented the first consumer hand-operated die-cutting machine to cut a wide variety of materials. Since then, we've led the DIY movement with imaginative solutions for every creative lifestyle. As one of the DIY market's most requested brands, we continue to develop award-winning products with unsurpassed quality to empower expression in all. From scrapbooking, cardmaking and papercrafting to fashion, quilting and home décor, and Education, we provide people of all ages and abilities the opportunity to express themselves in countless new ways. 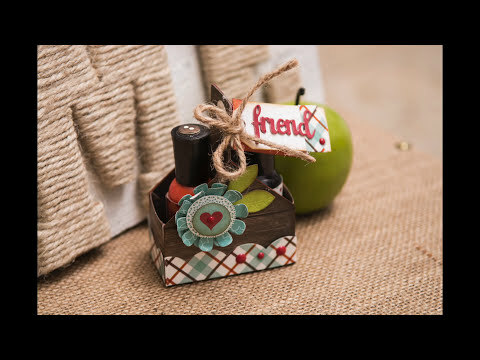 Sizzix Licensed Designer Lori Whitlock's newest collection, sent with love.